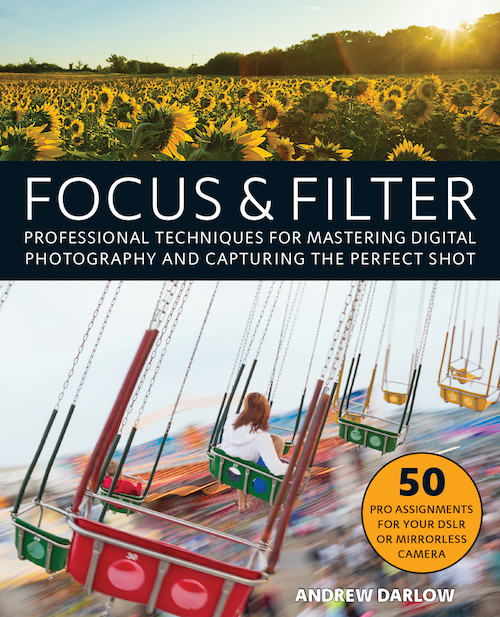 Focus and Filter is a new book from Andrew Darlow. It is written to help enthusiast photographers step up their technical and artistic game. Focus and Filter will be available on June 6, 2017. You can pre-order the new book for $21.71 here on Amazon.com. It will also be available in a Kindle version for $12.99 here on Amazon.com.